Sprint to half iron distance tri, 5k to marathon, injury prevention, corrective exercise, strength training, weight loss, post-natal exercise, lifestyle coaching, and nutrition counseling. Carla is the founder and sole coach of Compleat Fitness, specializing in personal training and endurance sports training. Carla has been coaching since 2005 and works with all fitness levels. Carla creates personal training plans for a wide range of goals including: losing weight competing in your first triathlon or marathon, racing at the elite level or achieveing a greater level of health and wellness. 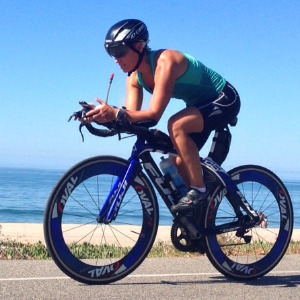 She has coached many individuals to personal bests in running events and triathlons focusing on the complete athlete. None of her programs are prepackaged, as each athlete's unique makeup and life schedule must be considered in creating a training plan. All coaching comes directly from Carla combining her experience as a USAT certified coach, RRCA Running Coach, NASM Personal Trainer, and Nutrition Counselor. Success of her clients comes through in-person, private sessions, and continuous communications. Training takes place in Marina del Rey area of Los Angeles. Success. Coach Carla Weier has been notified of your message.